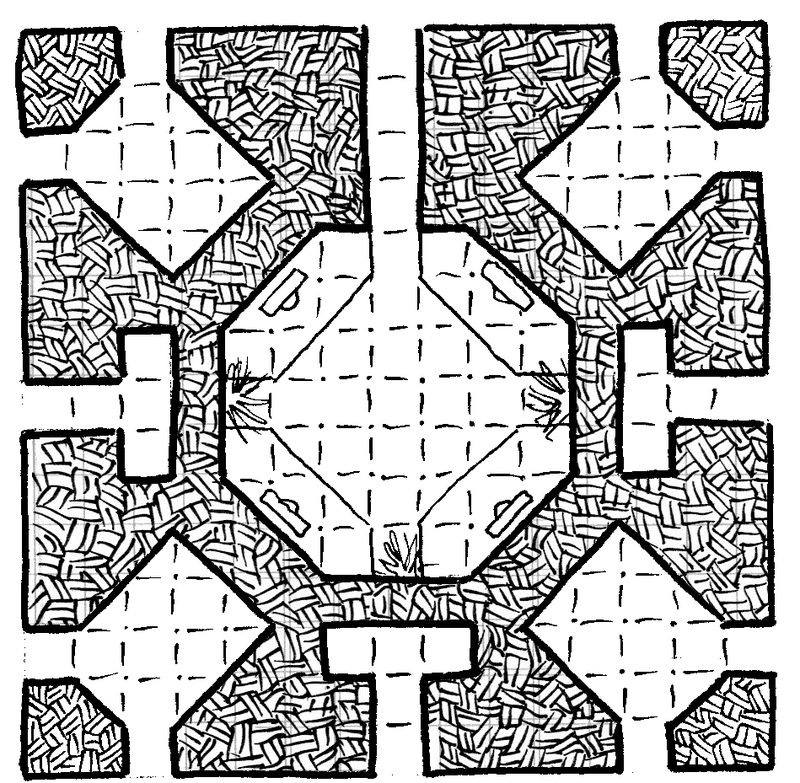 After getting a bit of feedback for the first draft, I've modified the Chrono Labyrinth slightly. I had thought about reducing font sizes to make the layout a bit neater, but that kind of defeats the purpose of the contest in my opinion. 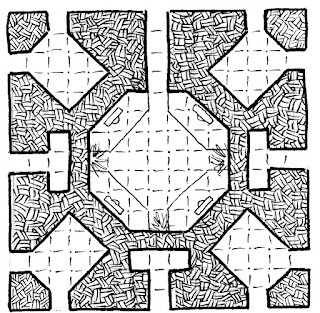 Too many other people are covering half to three-quarters of their page with writing, often providing elaborate context for their dungeon and a full backstory for it. Personally I prefer a bit of mystery, more questions to be answered through play than answers that are set in stone. Anyway, here's the updated version.